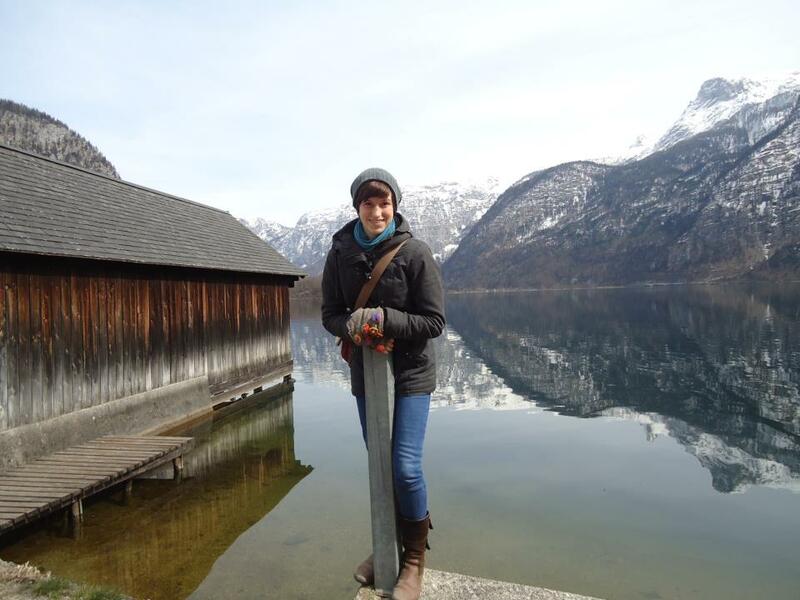 Charlene is an Environmental Science and International Degree student with a minor in German. She studied abroad at Albert-Ludwigs-Universität Freiburg (Freiburg, Germany) on the OUS Baden-Württemberg Exchange Program during the 2012-2013 academic year. She is currently a senior and is applying for funding of her Master’s studies in Germany for next October. During my time abroad I marveled at the Germans’ environmental protection and conservation efforts through culture, laws, trash separation, wind and solar energy development, but what I fell in love with was the language. Yes, I know. Deutsch is rarely, if ever, deemed poetic and lyrical. However, the words are practical conglomerations of smaller words. Deutsch has a multitude of dialects within and outside of Germany. The language is diverse yet unified through the people who speak it. I find it beautiful. I did not begin my year in Freiburg with immaculate Deutsch. Although I had already completed the 300 series at OSU (equivalent to 3rd year proficiency) and could read and write pretty well, meine Aussprache, or pronunciation, and overall confidence in speaking the language was lacking. I went abroad with the set goal to improve my Deutsch, but improvement in a foreign language does not happen overnight. Through this blog entry, I hope to illustrate how difficult it can be to step out of your language comfort zone, but just how rewarding that leap can be for you as a person. I was super enthusiastic my first few weeks in Germany, but I began to feel overwhelmed. I was far from home: my culture, my humor, my food, my music. Although I had travelled before, I had never lived in a foreign country for an extended period of time, or had to rely on my foreign language skills to get around. I was exhausted at the end of each day. I eventually realized that taking university courses for a foreign language was much different than trying to comfortably utilize that language in a society. I had an American accent. As soon as I spoke — if I were lucky enough not to be immediately “English’d” — I was asked “Ach, wo kommst du her?” (“Oh, where are you from?”). This sounds like an innocent question, but after a while, it can become intimidating. You try to improve your language skills and integrate, yet you are continuously reminded of your foreignness. So I went through a period where I avoided speaking to others, in German or English. My brain was so confused. It became normal for me to mix German and English vocabulary and grammar, and sometimes even my American friends didn’t understand what I was trying to communicate. So I stopped talking and started listening. I began to observe, w hich was new to me. In the U.S., I was always in the spotlight or on the stage; I’d never been a wallflower. As I listened and observed the people around me for a couple of weeks, I began to understand how they interpersonally communicated: quieter voices, polite verb forms, overall more reserved. I would eavesdrop on conversations in the Straβenbahn (streetcar/tramway) and began to understand the little Kinder (children), which was a very good sign my listening comprehension was improving. I eventually began to realize that I would have to use German if I expected myself to make progress with the language. I was a foreigner in a foreign place, and I would just have to adjust and be more patient with myself and my abilities. I remember one Tuesday morning in Freiburg very clearly. Waking up, I told myself, “Today is the day, I’m going to make German friends.” That morning I was on a mission. I made my way to campus and entered the Vorlesung (lecture) room a few minutes early to find my American friend had not yet arrived. It was the perfect opportunity. I went to the row behind where we, die zwei Amis (two Americans), usually sat and asked two German students if we could sit with them that day, to which they responded “Na klar!” (Well of course!). I was relieved, but tried to mask it—I was now sailing uncharted waters. When my American friend arrived, he looked pleasantly surprised to discover that we would be sitting with the Germans that day. We both managed to make conversation with our two new friends, although we had to ask a few times “Wie bitte?” to have them patiently repeat themselves so that we could be a part of the conversation. At the end of Vorlesung, I was determined to not let this opportunity for friendship with the natives slip by. I immediately asked if they were free on Friday night and would like to get together for a dinner and game night at Stusie (our dorm). To my ultimate delight and relief, we exchanged Handynummern (cell phone numbers) with the Germans. From then on, my language began to improve. I cared less about my grammar mistakes and American accent, it was more important to me that I had found patient friends who would interact with me and were just as curious about me as I was about them. I have to say, my language developed through the friendships I made throughout the year. 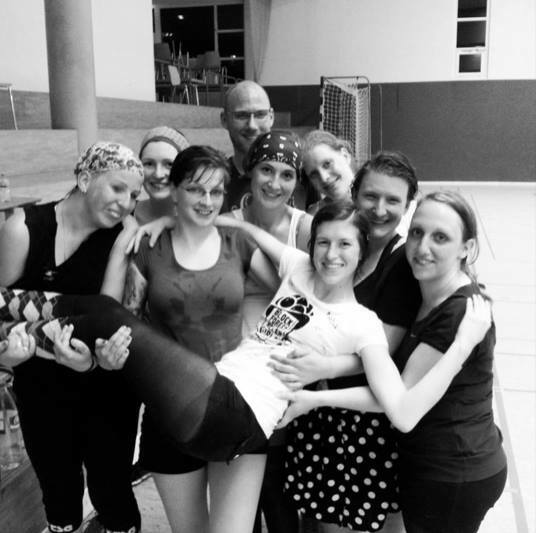 In January, I joined the local roller derby team and spent my Friday nights at Training, learning to understand Umgangsprache (slang) and how to roller skate. By the beginning of my second semester in Germany, I was taking regular university courses in Environmental Science with the Germans, I had Training with the derby girls, and I spent time with my Tandem partner (my German conversant partner) cooking Käsespätzle and watching Tatort (a popular German television series). I was totally surrounded by Deutsch. I could feel myself continually making progress and adapting to the culture. 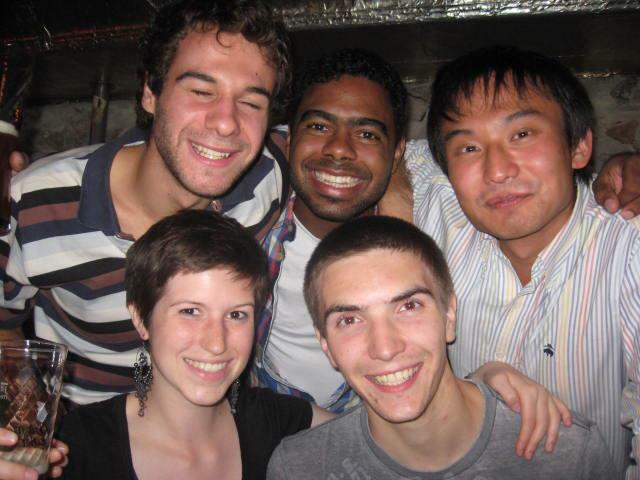 I’m very blessed to have made the friends I did in Freiburg, many of whom I have remained in active contact with! Through my friendships came my language skills and the best part about being back in the United States is that I know Deutsch ist und bleibt für immer ein Teil von mir (German is and remains forever a part of me). Posted in College of Liberal Arts, College of Science, Environmental Science, Exchange, OUS, Returnee, study abroad.